Eclectic and versatile with more than a dash of fun--People often use these words to describe not only Zina's designs, but also Zina herself. From her earliest days, she was surrounded by varied influences and characterized by her desire for new experiences. Zina loves moving forward and she views life with an artist's eye. 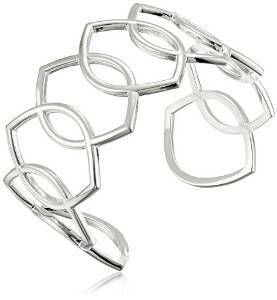 She uses these qualities to create jewelry that is fresh and innovative, fashion-forward and accessible. Jewelry that takes you from the "boardroom to the ballroom" and tells the world how you want to be interpreted. 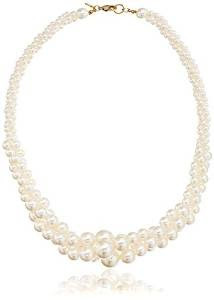 Three-Strand Simulated Pearl Necklace, 18"
Three rows of graduated simulated pearls form this necklace’s lustrous, costume design. Compliment your style with the variety of colored pearl finishes.